For more than 20 years, Fine Art Shippers has been providing a full range of art transport services in the United States and beyond. Over this time, we have met so many talented artists, dedicated art gallerists and dealers, passionate collectors, and simply creative people who love art in all its many forms. Moreover, being a professional art transport company in NYC is an incomparable pleasure because The Big Apple is full of arts, ranging from painting and sculpture to architecture and performance. Besides, at Fine Art Shippers, we never miss a chance to experience something new and get acquainted with rare works from all over the world, like the exceptional collection of Asian art at Walter Arader Gallery. Walter Arader is indeed a unique art gallery, which was founded in 2010. 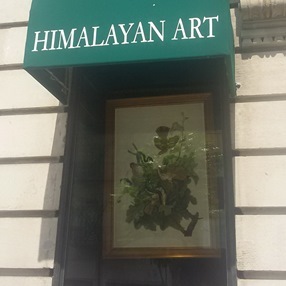 Focused on authentic Himalayan, Indian, and Chinese art, it offers an outstanding selection of museum-quality paintings, sculptures, and maps dating from the 8th-18th centuries. Besides, Walter Arader Asian Art collaborates with many reputable museums and institutions, including the Metropolitan Museum of Art, Yale Art Galleries, and the Rubin Museum of Art, as well as supports different charities and educational programs. It is indeed a must-visit place for all those who love unique and rare pieces of Nepalese, Tibetan, Indian, and Chinese art. At Fine Art Shippers, we would be happy to work with Walter Arader Asian Art, providing this one-of-a-kind gallery with comprehensive art transport services. It is a great place, definitely worth visiting!